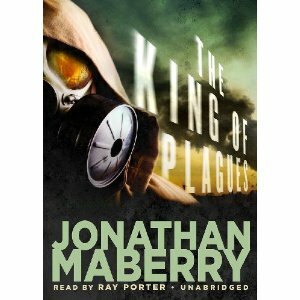 The third of the Joe Ledger books by Jonathan Mayberry. This has been one of my favorite series that I have encountered lately, tightly written and completely engrossing. A delightful blend of SF, horror and action with a bit of detective work mixed in, it is sometimes hard to figure out where this book will lead you. Joe is both the luckiest and unluckiest Department of Military Sciences employees. Lucky to be alive, but cursed with some of the worst events to occur during his watch. He has encountered zombies, genetic super-monsters, and had his girlfriend die in his arms. And this has all happened in less than a year. The novel picks up several months after the events of the Dragon Factory (there is a short story out there that details him working with his new furry partner Ghost taking down the man who killed Grace). It begins with the destruction of the London (gigantic London Hospital) in a massive terrorist event and it only gets worse. The new villains of the series (looking to see more) appear to the be the un-before mentioned Seven Kings, which now includes a familiar villain as well. And their plot is devious. Later in the novel Joe links up with Echo team, his psychologist buddy and a new female character on this wild ride. I cannot wait to crack open the next book!